We all know what Neanderthals looked like: the beetling brow ridges, thick nose, long skull, massive bone structure – and probably red hair and freckled skin. You might do a double-take if you saw one on the subway, wearing a suit, or you might not. But you would surely look twice at the hunter-gatherers that populated Europe between 7,000 and 8,000 years ago, whose DNA scientists are analysing now. 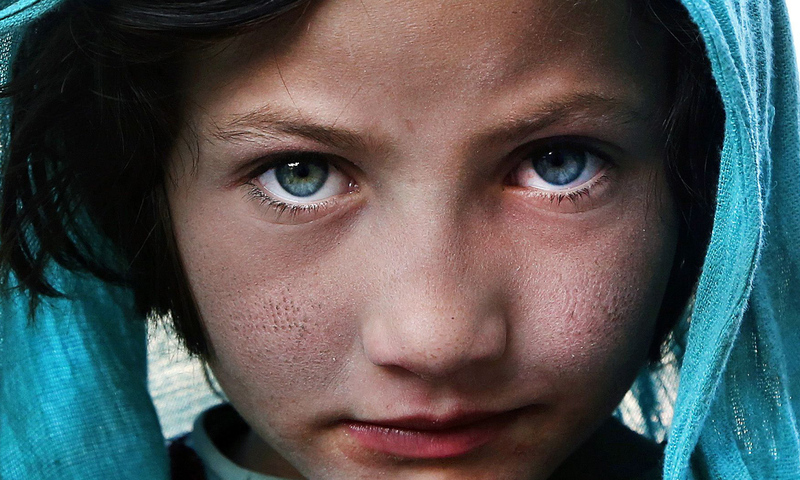 They had dark skin and, very likely, bright-blue eyes, like the beautiful child from Afghanistan you see in the photograph above. This combination essentially vanished from ancient Europe, replaced by light-skinned, brown-eyed farmers who moved in from the Middle East over the course of several centuries, and who looked like most of the population of southern Europe today.